Go Ae Rin (Jung In Sun) is a single mother who, after unexpectedly losing her husband, finds herself involved in the crossfire between spies. She lives in the apartment opposite Kim Bon (So Ji Sub), code-named Terrius. Kim Bon is a legendary black-ops agent with the National Intelligence Service (NIS), who has kept himself hidden after a failed mission, which resulted in the death of a loved one. They join forces to uncover the big conspiracy, to which Go Ae Rin's husband was witness, and that cost him his life. 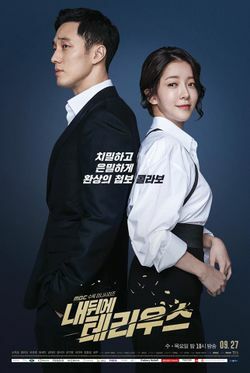 Alongside them is Jin Yong Tae (Son Ho Joon), a former con man who may hold the key to the conspiracy, and Yoo Ji Yun (Im Se Mi), a fellow NIS agent who seems cold and insensitive on the outside, but harbors deeper feelings for Kim Bon. Lee Yoo Young and Yoo In Na were each offered the lead female role, but declined. The drama's first script reading took place late June, 2018 in Sangam, South Korea at MBC Broadcasting Station. This page was last edited on 21 April 2019, at 08:16.